I used to hate being pale. I desperately envied the girls who came back from spring break with perfect, even tans. My skin burns incredibly easily, so unless I cake on bottles and bottles of sunscreen, I end up the color of a boiled lobster. I mean really, really red. Fire engine, ripe tomato red. Eventually, my sunburns fade into tans, but that takes weeks, and my “tan” is pretty pale by most people’s standards. After years of lamenting my pasty state, I finally realized: I’m never going to be tan! My skin has always been and will always be pale. Baby, I was born this way. Skin cancer. Yes, this one is obvious. Warnings about the dangers of the sun are everywhere. But I have personal experience on this front. My dad has struggled with skin cancer for the past ten years, and helping take care of him after his worst surgery was particularly good motivation for me to protect my skin. He had to have a ping-pong ball-sized piece of skin cut out of his temple and the spot still has to be carefully watched. My dad had basal cell carcinoma, which is one of the most treatable forms of cancer, but that didn’t make it any less scary. Skin cancer often shows up as just a small mole, but the procedures to remove these moles are painful and expensive. They also leave large scars that need serious treatment and protection. And the cancer can come back easily. Recently, my dad went in for a check-up at the dermatologist and had to have several pre-cancerous spots burned off his forehead. So, take it from the girl who has helped bandage up post-surgery skin cancer wounds. That tan? Not worth it. Oompa, Loompa, doom-pa-dee-do. If you’ve seen Jersey Shore or The Real Housewives of Orange County lately, you know exactly what I’m saying. It is definitely possible to be too tan. And let’s be honest here ­– orange skin isn’t a good look on anyone. Ever. I’ll take milky white over orange alien any day. No wrinkles here. Just take a look at a few of the pale Hollywood beauties who have remained stunning as they age. Julianne Moore, Meryl Streep, Helen Mirren – all ladies who kept it natural, took care of their skin, and still look incredible. 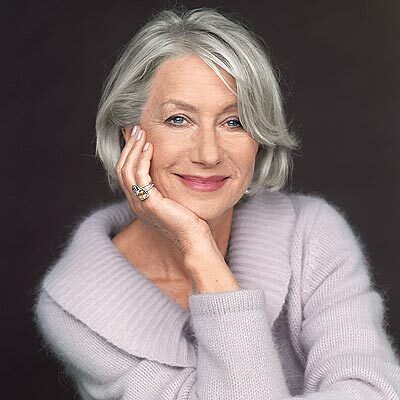 Who wouldn’t love to look like that forty years from now? I don’t know about you, but I’d rather not end up like Donatella Versace. I just look weird with a tan. Yes, it’s the truth. I have actually been tan at a few points in my life. And you know what? It wasn’t a great look for me. I have strawberry blonde hair that’s a little on the darker side for blonde. And when my skin is tan, my hair and skin are practically the same color. It’s weird. I also just don’t look like myself with a tan. No matter what, it always seems unnatural. So I’ll be sticking with my pale look. I spend a lot of time outside in the summer and sun exposure comes along with the season. But you can bet I’ll be religiously reapplying my sunscreen. Check out this website for a list of safe, effective sunscreens, and fend off the Ooompa Loompas! And don’t forget that pale can be just as beautiful as tan. Just check out these beauties!